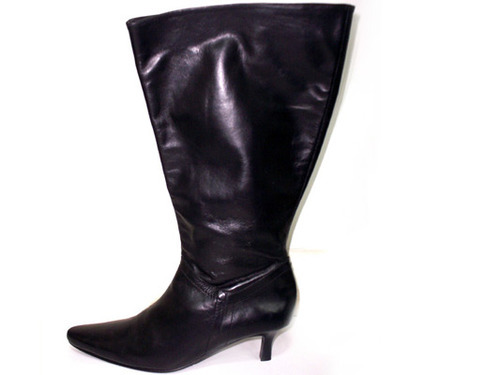 We are a noteworthy manufacturer, exporter and supplier of a comprehensive range of Ladies Long Boot that is designed by our skilled designers using high grade raw material. In addition to this, the provided boot is quality checked under the supervision of quality controllers to ensure its optimum comfort and flawlessness. Apart from this, our esteemed clients can avail this boot products from us at market leading rates. We “Garima Leather Exports Pvt. Ltd.”, are reputed and well known Manufacturer, Exporter and Supplier of optimum quality assortment of Ladies Bally, Ladies Boot, Ladies Sandal, Ladies Slipper, Wedge Shoe and Industrial Gum Boot. Incorporated in the year 2006, at Gurgaon, (Haryana, India), we have established a robust and innovative infrastructural base that covers an extensive area and assist us in designing the best quality slippers in diverse designs and other related specifications. Our infrastructural facility is divided into enormous sections such as admin section, procurement section, quality testing section, production section, sales section, R & D section, warehousing section, packaging section, transportation section, etc. To design these slippers in an efficient and well-defined manner, we have installed innovative machines, equipments and tools at our production unit. These sections are handled by our experienced and dexterous team of professionals. We are exporting our products all over the world.